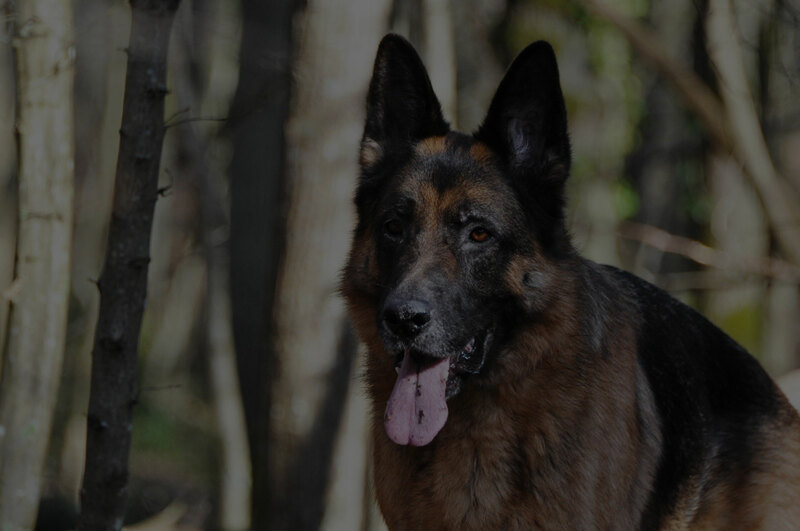 Sandra joined Bayridge Animal Hospital in January 2000. Her career began at the early age of 16 working as a kennel attendant in Toronto, Ontario. Sandra has since loved every minute of her career and enjoys being challenged with new ideas and ways of bettering the life of pet owners. We are constantly impressed by how she knows each of our clients by name and their pets certainly know her; Sandra is that comforting familiar smiling face that we all appreciate. Sandra’s years of experience provides her with the tools to be able to find solutions to everyone’s requests and adds tremendous value to our practice. She has been invaluable in communications with clients, as she is the first point of contact and follow-up in most cases. In Sandra’s words, she “loves animals and she loves people who love their animals”. 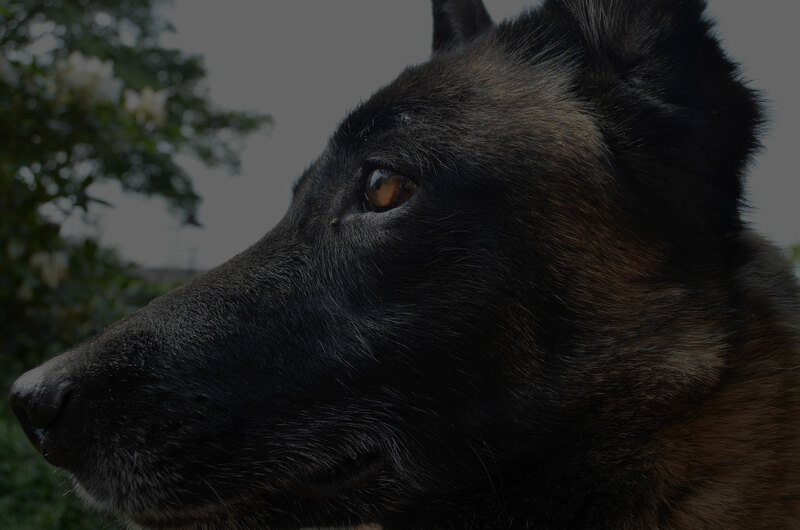 Sandra is surrounded by love when she returns home at the end of her day as she is greeted by her cats: Bucky, Sarge and Lord Stanley and let’s remember her black lab, Katie who walks to work with her every day. Katie is frequently entertained by Polo (Dr. Wilson’s dog) when he is invited over to play or as they cuddle up here at the clinic for a day of snuggles. Sandra is both a friend and neighbour to many of our clients at Bayridge Animal Hospital. Her lifetime of working with vets, pets and people is a huge asset to our clinic. She recognizes the importance of providing everyone with the highest standard of personal attention and we are honoured to have her as part of our care team. Lisa grew up in the Kingston area where she worked at a veterinary clinic in high-school. She was offered a summer job there which led to Technician training. Lisa graduated from St. Clair College, Windsor, ON and moved back to Kingston and joined the team in 2004. Lisa has been working in vet clinics for 20 plus years, the majority of them as a Veterinary Technician. She is an extremely knowledgeable, diligent, efficient and caring person. Lisa ensures that nothing is left to chance when it comes to the pets in our care. Her main role now has become the main anesthetic, surgery and recovery technician. Lisa undertakes her charge with supreme vigilance and attention to detail. It is such a comfort knowing that she is so serious about the safety of the animals while they are at the clinic. Lisa knows animal behaviour so well that she has taught all of her colleagues what signs to look for when an animal is in pain or distress, and thus she is able to apply any means necessary to relieve this discomfort or pain. Her level of empathy and care for the animals is a force that unites us all and reminds us why we are doing what we are doing. 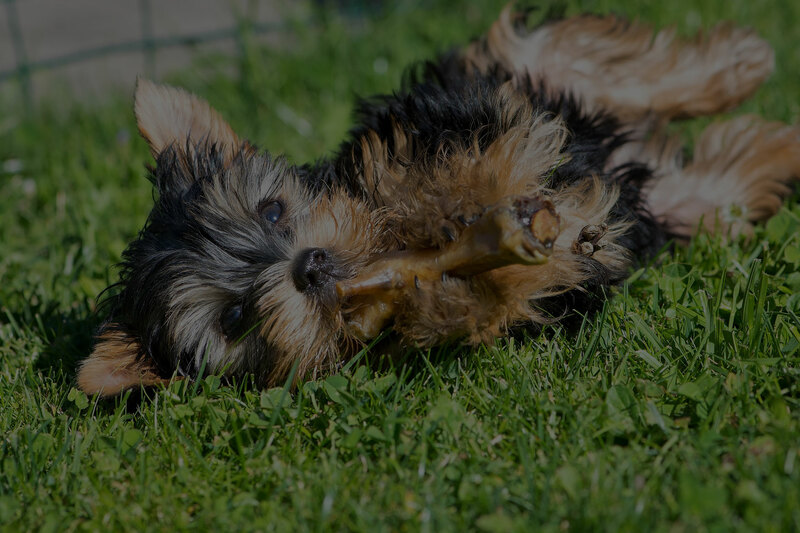 From a young age, Lisa has always sought out the company of animals and her career at Bayridge Animal Hospital in particular allows her to fulfill this desire as well as her desire to be around like minded people and pet owners. Lisa enjoys working with Drs. that are keen on learning advanced and innovative procedures such as the Tight Rope Cranial Cruciate Repair technique. She is usually the tech that scrubs in to assist with this procedure and knows it almost as well as the surgeon. She also loves using new technologies such as ultrasound, anesthetic monitoring equipment including capnography, digital radiography and state-of-the-art laboratory equipment. Lisa is most versed in pain management techniques and the importance of this. 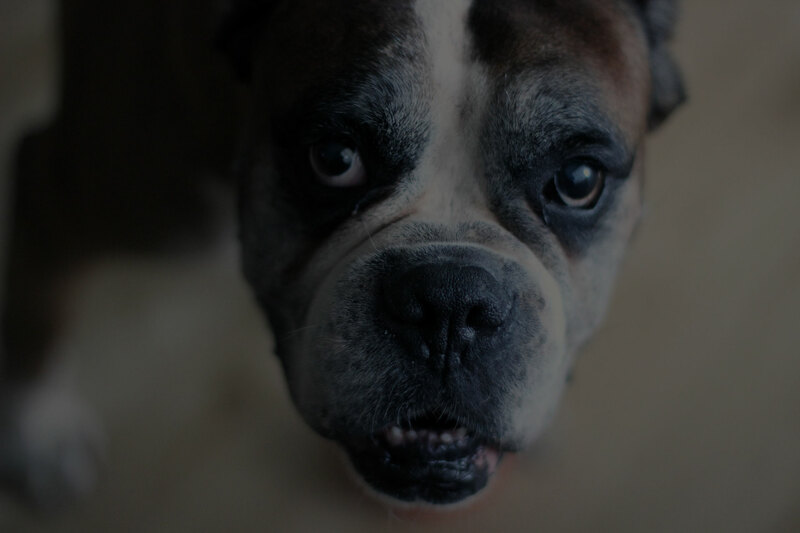 Lisa’s greatest pleasure in life is spending time with her husband, her Boxer, Cassie and her cat, George; we are fans of them all! Originally from the Ottawa, Ontario area, in her youth Ashleigh always had jobs that involved working with animals, including teaching horseback riding, working for a race horse breeding farm and working for a major pharmaceutical company in animal research. She has always had a pet dog and cat at home. 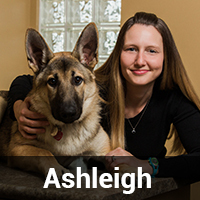 Ashleigh graduated from St. Lawrence College with a very high academic standing as a Veterinary Technologist in 2010 and immediately joined Bayridge Animal Hospital. Ashleigh has a real passion for learning, so she gets a great deal of satisfaction from the varying and interesting cases that she sees. Above all else, she loves working with animals. Every day is new and exciting for her and she is happy to be around people who love their animals and to work with people who, in her words, “truly care” for each and every animal that comes through the door. She likes that there is no cutting corners at Bayridge Animal Hospital with respect to the quality of medical care for the animals. Ashleigh loves her cats; Ted was rescued from the Humane Society, Sophie, was also adopted and Mr. B, an injured stray was found while she was running. Ashleigh enjoys running and horseback riding; when she has free time she loves being with her family and their latest addition Rocky, a loving German Shepherd. Her love of animals makes Ashleigh the perfect member for our team. The Bayridge Animal Hospital staff grew in 2012 when Rita joined the team. She had been a client at BAH for many years and we had no idea she also possessed the excellent set of skills that made her the best candidate for the receptionist role at the clinic. Of the many candidates that had applied for the job, in the end Rita’s beaming smile and always upbeat energetic and happy to help attitude won her the role. Rita has quickly become irreplaceable as the first face to greet our clients. Pets have always been a huge part of her life so when the opportunity arose to apply here she jumped at it. 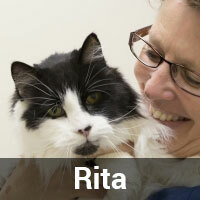 Rita possesses compassion but also the quiet confidence that comes with experience. 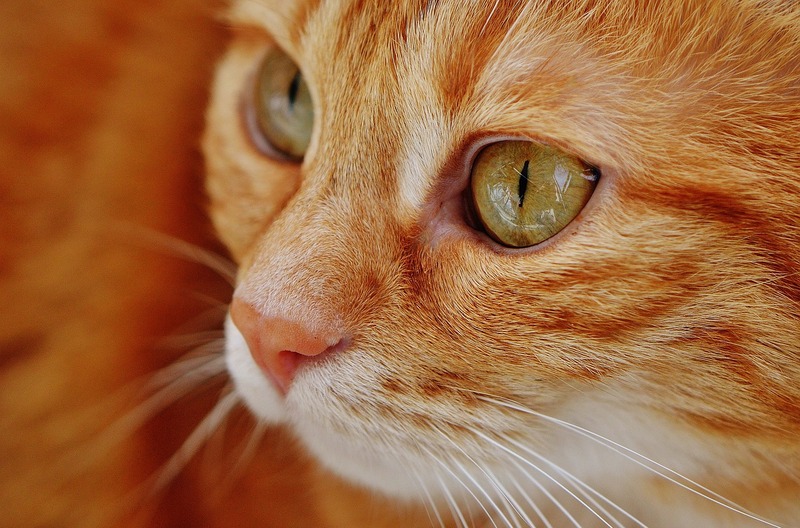 Pet owners connect immediately with her and are instantly comforted to be in our waiting room. She is extremely efficient at meeting peoples’ needs and compassionate to their concern for their pets. Rita is also a member of the Bayridge community and lives close by with her husband; they have 3 wonderful children, and 7 beautiful grandchildren. When she is not curled up in a chair reading or knitting, her and her husband are hiking, gardening or just appreciating nature by taking a long country drive. Thank you Rita for jumping at the chance to be part of the team. Sarah joined Bayridge Animal Care Team in the summer of 2016. After completing pre-health science at Seneca, Sarah graduated from St. Lawrence College, here in Kingston and was eager to practice medicine. Sarah is fulfilled working in the industry knowing that she is able to make a difference. “I love the science behind everything, I love biology, and of course the animals. Meeting people who treat their pets like family members, being able to help them provide a healthy life, and connecting it all back to my initial love of science and math makes it a rewarding field to be in.” Sarah also enjoys learning and will always find time to look under the microscope, taking samples and preparing slides. Sarah has a wonderful home filled with love from her 3 cats, Cleopatra, Morrison, and Ziggy (2 named after rock stars); each of them having their own unique personalities. When we asked Sarah how she enjoys spending her free time, this was her response; “In my spare time I practice photography; mostly landscape and of course animal photography. I also paint, and have recently sold a couple! 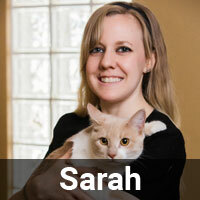 We are thrilled to have Sarah as part of the team and we are confident your pet will feel the same. 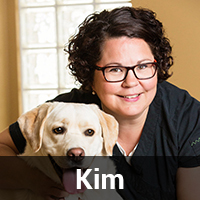 In 2017, Kim delighted us by accepting an offer to come to work for Bayridge Animal Hospital; serving our client’s with a wealth of knowledge and compassion. Kim’s career began in 1999 upon graduating from St. Lawrence College. Kim has always been an animal lover; she knew at a very young age that she wanted to work with animals. “There is a quote that sums up why I love my job, when I look into the eyes of an animal, I do not see an animal. I see a living being. I see a friend. I feel a soul. There is something incredibly profound in the human/animal bond. I love sharing the joys of a new puppy or kitten with the clients. I love the nursing side of my job". At the end of the day Kim and her family are surrounded by their furry companions, Scout and Griffin. 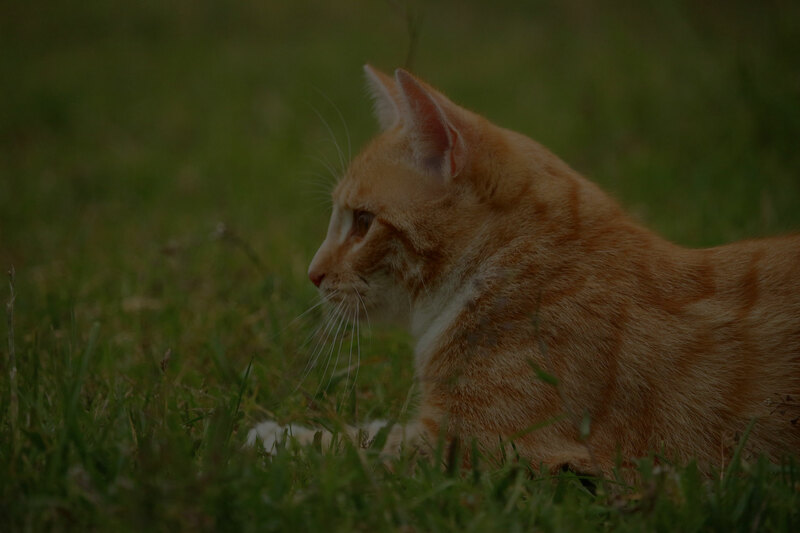 Scout, a yellow Labrador retriever, and Griffin, a beautiful domestic short hair orange tabby. Kim loves spending time with her husband and two children at their family cottage on the St. Lawrence River. Kim loves watching her kids play sports’ she is an avid reader and loves to swim and travel. We are very happy to have Kim’s experience and passion as part of our care team. 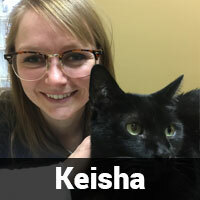 Keisha joined our team in 2017. 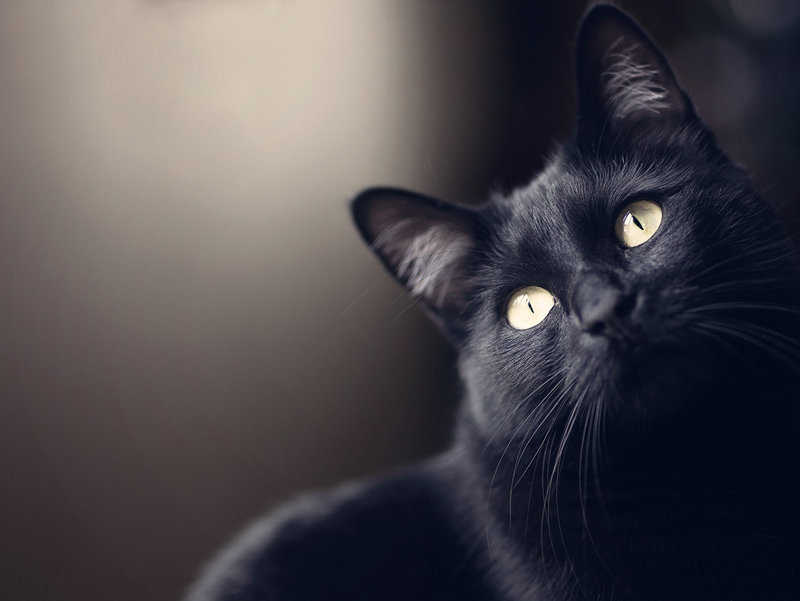 "I have three cats: Sugar, Cole, and Crisco. Sugar was first to steal my heart when I was in my 2nd year of Vet Tech. I met him through school at the Kingston Humane Society. He was a scraggly mess with almost no hair from a flea allergy and he also had a bad upper respiratory tract infection. During the time I worked with him he would drool and knead his paws in happiness! I took him home shortly after meeting him and I have now had him for almost 11 years! Crisco moved in at the same time my boyfriend did. He is appropriately named! He is always hungry and in search for food! He loves to give head butts and steal my spot on the bed!